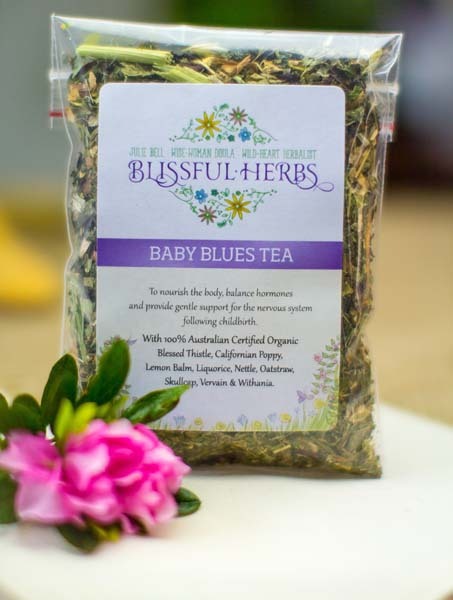 This tea is a tonic of gentle herbs to support hormonal balance, nourish the nervous system and help relieve mild 'baby blues' that may be experienced after having a baby. It's a delicious tea to provide a lift for your mood and nourishment for your nervous system through the vulnerable days of adjusting to motherhood. Your body is undergoing immense changes, your body is still healing, your hormones are re-adjusting to the non-pregnant state, and you may well be affected by a degree of sleep deprivation. 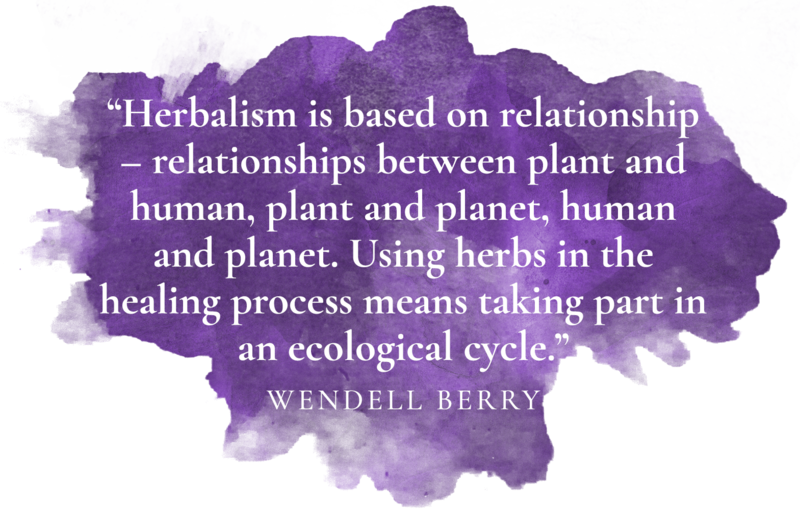 You are actually at your peak of health - but you won't be the only one who has felt quite the opposite! Many new mums sometimes struggle with low moods and energy during the early weeks and months of parenting. I know I did! The World Health Organisation says that it takes a woman two years to fully recover from childbirth - so go easy on yourself. Good support is essential throughout this special season of life. This is where your network of extended family and friends are such a help. The old saying goes, 'motherhood needs company'. Drink 2-3 cups of this nourishing tea per day when you feel the need. Licquorice (Glycyrrhiza glabra) - supports hormonal balance and eases mild depression. It is also an adrenal tonic to prevent fatigue. Vervain (Verbena officinalis) - a gentle tonic herb for the nervous system, with soothing and calming effects, this herb is beneficial for anxiety, irritability and mild depression. It is also helpful for supporting milk supply. I LOVED this tea! Having experienced baby blues 3 times already this time I decided to have this tea ready and waiting. Soon as I feel those baby blues coming on about the 2nd or 3rd day after birth I started having this tea. It was amazingly obvious the difference it made! Picked me up on my first cup and helped keep me more balanced. I seriously didn't expect the difference it made! I would HIGHLY recommend this tea to all mothers!